La vie Jaime : Friday Faves & Newport summer fun begins! Friday Faves & Newport summer fun begins! 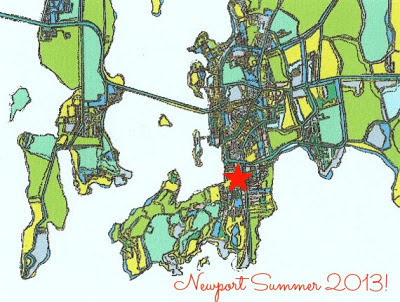 This weekend kicks off my friends and my apartment rental in Newport, RI for the summer! We love this city and are excited for fun in the sun & on Thames Street. Here are my faves of the week. have so much fun in newport!!!! post pics! You are going to have an incredible summer! What a fab idea to do a rental with friends. wait, a rental for the whole summer?!? So cool! We have family so very close to your property and spend many summer days there! Newport really is the best :)! I loooove Newport... such a beautiful town!!! enjoy the summer!!! Note to Self is one of my faves as well! Great shares! I went to Newport last year and absolutely adored it! So gorgeous. We visited the mansions too...wowza they're gorgeous. Oh wow, it sounds like you are going to have a great summer. I want to go to Newport, too! Take me! Ahh I wondered where Henry Cavill got his break...I heard the "Tudors" is great and I want to see "Superman" as well! Yay for the summer with friends! Hope it was a great weekend!